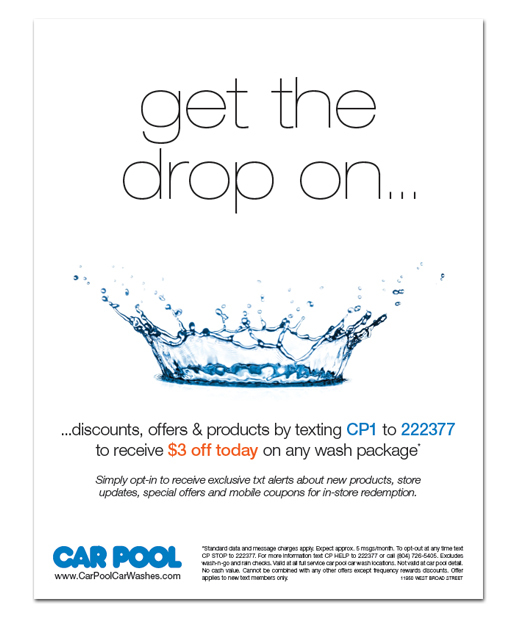 Car Pool Car Wash decided to add a text component to their digital sales campaign. This get the drop on poster is in keeping with the simple, clean ads and collateral we’ve been creating for the company. There were table-talkers and smaller posters created for this campaign.